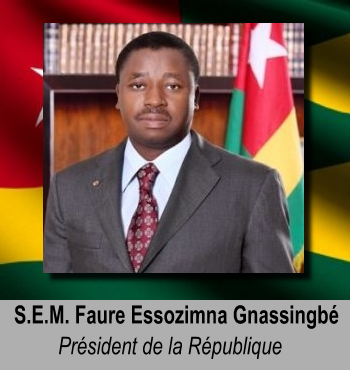 BIOGRAPHIE DE L’AMBASSADEUR – Ambassade du Togo à Washington DC. 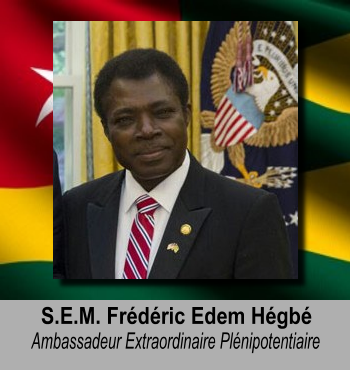 Mr. Frédéric Edem HEGBE was born on April 27, 1951 in Togo. 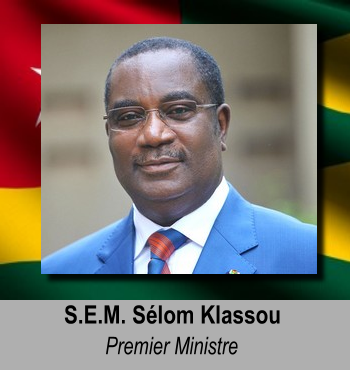 He was a career diplomat and was appointed by Presidential Decree as Ambassador Extraordinary and Plenipotentiary of the Republic of Togo to the United States of America in January 19, 2017. He presented his letters of credence to the President of the United State of America, Donald J. TRUMP on April 24, 2017. 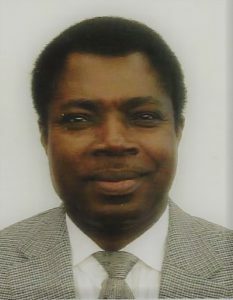 At the height of his career as Minister Plenipotentiary of Foreign Affairs of exceptional class within the Togolese Ministry of Foreign Affairs, Cooperation and African Integration, he served as Chargé d’Affaires ad interim (1992-1994) and Minister-Counselor/ Deputy Chief of Mission (1994-1999) at the Embassy of the Republic of Togo in Washington, D.C. Before, he held a position of First Secretary/DCM at the Embassy of the Republic of Togo in the Democratic Republic of Congo (formerly Zaire). Over the course of his career, Mr. HEGBE attended many meetings and conferences in Togo and abroad. In 1992, he was member of Togolese delegation to the 47th Session of the General Assembly of the United Nations in New York (Commission of Finances and Budget). From 1985 until 1987, he was the Representative of the Government of Togo at the Pan African Telecom Union Board of Governors meetings in Kinshasa-Zaire (current DRC). In March 1983, he took part to the Non-Aligned Countries 7th Summit in New Delhi, India and to the Ministerial Meeting of the Coordinating Bureau of the Non-Aligned Movement in Colombo, Sri Lanka in June 1979. 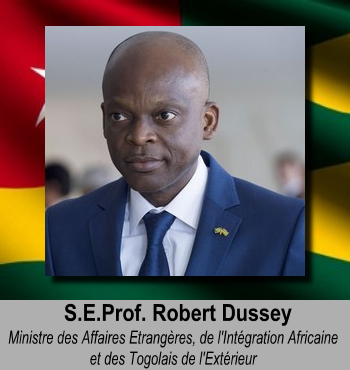 He went on missions in Nairobi (Kenya), Victoria (Seychelles Island) and Lusaka (Zambia) to assess the performance of the OAU (current African Union) Ad Hoc Committee set up to support the Frontline countries and the refugees from Zimbabwe (former Republic of Rhodesia). He also attended meetings and conferences of the Economic Community of West African States (ECOWAS), African Development Bank (ADB) and African Development Fund (ADF) as well as of the United Nations Environment Program (UNEP). Mr. HEGBE graduated in International Relations at the International Relations Institute of Cameroon (I.R.I.C) – University of Yaoundé, (Cameroon) in 1980. He also hold a Master’s degree (C1) in Comparative and African Literature and a Bachelor’s Degree in Modern Arts, Majoring in Classic and Contemporary French Literature, from the University of Benin (now University of Lomé, Togo). He trained U.S. diplomats in languages and culture for their deployment overseas at the Foreign Service Institute (FSI) within the National Foreign Affairs Training Center of the Department of State – (NFATC) in Washington, D.C from 2000 to 2016. Ambassador HEGBE has notably distinguished himself in humanitarian areas by supplying water and installing solar panels that generate electricity in rural zones of his country with the assistance of Non-Governmental Organizations (NGOs). He also personally financed public latrines in some villages. Ambassador HEGBE is bilingual. He is fluent in French and English. As hobbies, Mr. HEGBE likes reading, jogging and table tennis. He has three (3) children.